Inspired by the calm nature of East Asia, Sakura Peshtemal has a simple yet elegant design. Tranquil colors combined with traditional stripes completed with white, thick fringes make Sakura Peshtemal a perfect decorative item. Its elegance also allows you to create a stylish combination with your beachwear! 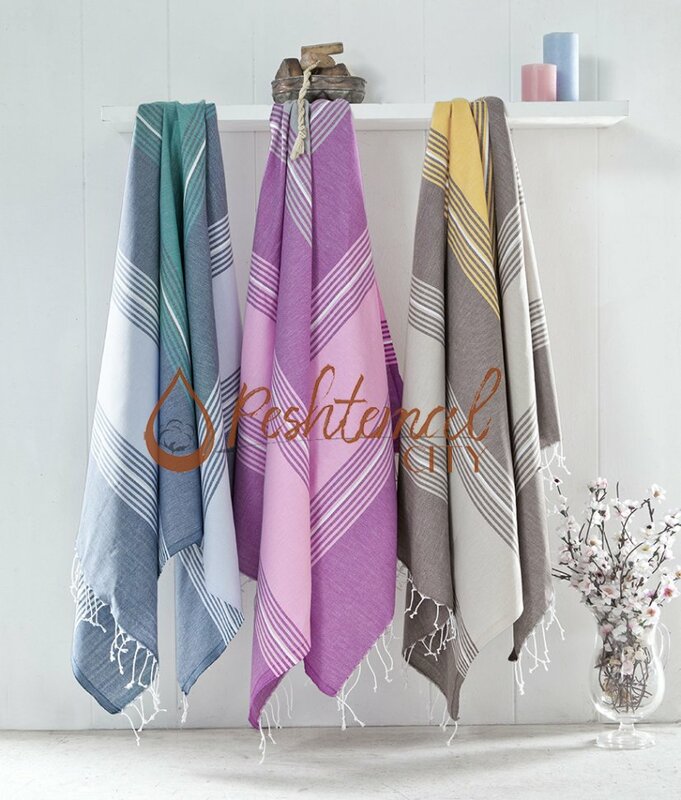 Woven 100% from high-quality ring-spun Turkish cotton yarns, Sakura Peshtemal is one of our high-quality Fouta towel designs. It is highly absorbent, quick-drying, soft, and durable. With a size of 100x180 centimeters and with a weight of only 300 grams it is also easy-to-pack. It takes very little space in backpacks, thus can be easily taken to relaxing vacations.